What is the best way to take my temperature? — Armpit, ear, and forehead temperatures are easier to measure than rectal or oral temperatures, but they are not as accurate. Wait at least 30 minutes after you eat or drink anything hot or cold. Wash the thermometer with cool water and soap. Then rinse it. Place the tip of the thermometer under your tongue toward the back. Hold the thermometer with your lips, not your teeth. Keep your lips closed around the thermometer. A glass thermometer takes about 3 minutes to work. Most digital thermometers take less than 1 minute. The height of the temperature is less important than how sick you feel. If you think you have a fever and you feel sick, your doctor or nurse might want you to double-check by getting an oral or rectal temperature. Most of these infections are not serious and get better on their own. Are on chemotherapy – Call your doctor or nurse if your oral temperature goes above 100ºF (37.8ºC) for more than 1 hour. Also call if it goes above 101ºF (38.3ºC) even just 1 time. A recent bite from an insect called a tick – Infections you can catch from tick bites can cause fever and other symptoms. Chest X-ray or CT scan – These imaging tests create pictures of the inside of the body. Your doctor or nurse will talk to you about any other tests you might need. Can I do anything on my own to feel better? — Yes. You can stay home, rest, and drink plenty of fluids. You can also take acetaminophen (sample brand name: Tylenol) to relieve fever. Antibiotics to fight the infection. But antibiotics only work on infections caused by bacteria, not infections caused by viruses. For example, antibiotics will NOT work on a cold. Medicines, such as acetaminophen (sample brand name: Tylenol) or ibuprofen (sample brand names: Advil, Motrin). These medicines can help bring down a fever. But they are not always necessary. What causes coughs, runny noses, and other symptoms of the common cold? — These symptoms are usually caused by a viral infection. Lots of viruses can take hold inside your nose, mouth, throat, or lungs, and cause cold symptoms. Most people get over a cold without lasting problems. Even so, having a cold can be uncomfortable. And if your child has a cold, it is hard to know when the symptoms call for a trip to the doctor. 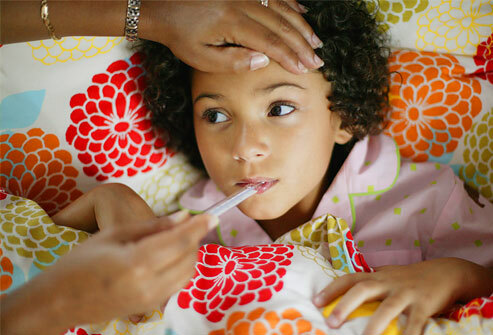 In children, the common cold can also cause a fever. But adults do not usually get a fever when they have a cold. How can I tell if I have a cold or the flu? — The common cold and the flu both cause many of the same symptoms. But they also have some important differences. If you are older than 75, you should also call your doctor or nurse any time you get a long-lasting cough. What can I do to feel better? — If you are an adult, you can try cough and cold medicines that you can get without a prescription. These medicines might help with your symptoms. But they won’t cure your cold, or help you to feel better faster. If you decide to try nonprescription cold medicines, be sure to follow the directions on the label. Do not combine two or more medicines that have acetaminophen in them. If you take too much acetaminophen, the drug can damage your liver. Also, if you have a heart condition, or you take prescription medicines, ask your pharmacist if it is safe to take the cold medicine you have in mind. What should I know if my child has a cold? — In children, the common cold is often more severe than it is in adults. It also lasts longer. Plus, children often get a fever during the first three days of a cold. Are cough and cold medicines safe for children? — If your child is younger than 6, you should NOT give him or her any cold medicines. These medicines are not safe for young children. Even if your child is older than 6, cough and cold medicines are unlikely to help. NEVER give aspirin to any child younger than 18 years old. In children, aspirin can cause a life-threatening condition called Reye syndrome. When giving your child acetaminophen or other nonprescription medicines, never give more than the recommended dose. How long will I be sick? — Colds usually last 3 to 7 days, but some people have symptoms for up to 2 weeks. How can I keep from getting another cold? — The most important thing you can do is to wash your hands often with soap and water. Alcohol hand rubs work well, too. The germs that cause the common cold can live on tables, door handles, and other surfaces for at least two hours. You never know when you might be touching germs. That’s why it’s so important to clean your hands often. The word dementia comes from the Latinde meaning “apart” and mens from the genitive mentis meaning “mind”. Dementia is the progressive deterioration in cognitive function – the ability to process thought (intelligence). Progressive means the symptoms will gradually get worse. The deterioration is more than might be expected from normal aging and is due to damage or disease. Damage could be due to a stroke, while an example of a disease might be Alzheimer’s. Dementia is a non-specific syndrome in which affected areas of brain function may be affected, such as memory, language, problem solving and attention. Dementia, unlike Alzheimer’s, is not a disease in itself. When dementia appears the higher mental functions of the patient are involved initially. Eventually, in the later stages, the person may not know what day of the week, month or year it is, he may not know where he is, and might not be able to identify the people around him. Memory loss – the patient may forget his way back home from the shops. He may forget names and places. He may find it hard to remember what happened earlier on during the day. Moodiness – the patient may become more and more moody as parts of the brain that control emotion become damaged. Moods may also be affected by fear and anxiety – the patient is frightened about what is happening to him. Communicative difficulties – the affected person finds it harder to talk read and/or write. As the dementia progresses, the patient’s ability to carry out everyday tasks diminishes and he may not be able to look after himself. Alzheimer’s disease – This is by far the most common cause of dementia. The chemistry and structure of the brain of a person withAlzheimer’s disease changes and his brain cells die prematurely. Stroke (Vascular problems) – this means problems with blood vessels (veins and arteries). Our brain needs a good supply of oxygen-rich blood. If this supply is undermined in any way our brain cells could die – causing symptoms of vascular dementia. Symptoms may appear suddenly, or gradually. A major stroke will cause symptoms to appear suddenly while a series of mini strokes will not. Dementia with Lewy bodies – spherical structures develop inside nerve cells. Brain cells are nerve cells; they form part of our nervous system. These spherical structures in the brain damage brain tissue. The patient’s memory, concentration and ability to speak are affected. Dementia with Lewy bodies is sometimes mistaken for Parkinson’s diseasebecause the symptoms are fairly similar. Fronto-temporal dementia – this includes Pick’s disease. The front part of the brain is damaged. The patient’s behavior and personality are affected first, later his memory changes. Other diseases – progressive supranuclear palsy, Korsakoff’s syndrome, Binswanger’s disease, HIV and AIDS, and Creutzfeldt-Jakob disease (CJD). Dementia is also more common among patients who suffer from Parkinson’s disease, Huntington’s disease, Motor Neurone disease and Multiple Sclerosis. People who suffer from AIDS sometimes go on to develop cognitive impairment. According to most experts, there are two main categories of dementia – cortical and subcortical dementias. Cortical Dementia – The cerebral cortex is affected. This is the outer layer of the brain. 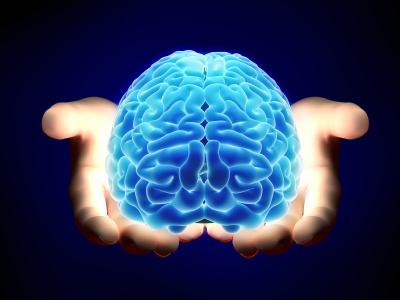 The cerebral cortex is vital for cognitive processes, such as language and memory. Alzheimer’s disease is a form of cortical dementia, as is CJD (Creutzfeldt-Jakob disease). Subcortical Dementia – A part of the brain beneath the cortex (deeper inside) becomes affected or damaged. Language and memory are not usually affected. A patient with subcortical dementia will usually experience changes in his personality, his thinking may slow down, and his attention span may be shortened. Dementias which sometimes result from Parkinson’s disease are subcortical dementias, as are those caused by AIDS and Huntington’s disease. A patient with multi-infarct dementia will have both the cortical and subcortical parts of the brain affected or damaged. Although there are some brief tests, a more reliable diagnosis needs to be carried out by a specialist, such as a geriatric internist, geriatric psychiatrist, neurologist, neuropsychologist or geropsychologist. AMTS (Abbreviated Mental Test Score) A score lower than six out of ten suggests a need for further evaluation. It is important that the patient’s score is interpreted in context with his socio-economic, educational and cultural background. The tester must also factor in the patient’s present physical and mental state – does the patient suffer from depression, is he in great pain? Poor physical performance in the very elderly – researchers from the University of California found that people aged at least 90 years who had poor physical performance tend to have a much higher risk of either having or soon developing dementia. They reported their findings in Archives of Neurology, October 2012 issue. They assessed a sample of over-90s for walking, standing up from a chair, standing and controlling balance, and gripping something. What is the treatment for dementia? In the majority of cases dementia is incurable. Researchers are making inroads into treatments that may slow down dementia’s progress. Cholinestaerase inhibitors are frequently administered during the early stages. 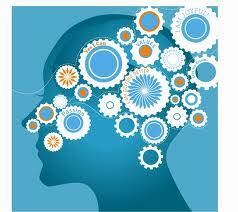 Cognitive and behavioral therapies may also be useful. Several studies have found that music therapy helps patients with dementia. It is important to remember that the patient’s caregiver also needs training and emotional support. In the USA, Tacrine (Cognex), donepezil (Aricept), galantamine (Razadyne), and rivastigmine (Exelon) have been approved for the treatment of dementia caused by Alzheimer’s disease – some physicians prescribe these drugs for vascular dementia as well. Selegiline, which is used for treating Parkinson’s disease, has been found to slow down the progress of dementia. In Canada, a country where two languages are spoken, English and French, researchers found that bilingual people who develop dementia do so four years later than monolingual people who develop dementia. The four year difference prevails even after factoring for such variables as cultural differences, education, employment, gender and immigration. Anti-psychotics – health authorities around the world are becoming concerned about the over-prescribing of anti-psychotic medications for patients with dementia. UK health authorities reported in October 2012 that reducing the usage of anti-psychotics has been much more difficult than originally estimated. In the United Kingdom, up to 1,800 people with dementia die each year due to this type of medication. Calcium channel inhibitors, such as Nilvadipine, used for the treatment of hypertension, may considerably reduce the risk of dementia. Diabetes medications, exenatide and liraglutide, activate the brain and inhibit the formation of plaques. The psoriasis drug, acitretin may alter the way proteins connect to dementia structure, the researchers believe. There may also be benefits from minoclycline, a tetracycline antibiotic that is used for the treatment of acne. How can I help my loved one with dementia? There are many things you can do to help your loved one be safe at home. For example, get rid of throw rugs, and put handrails in bathrooms to help prevent falls. Post reminder notes around the house. Put a list of important phone numbers by the telephone. You also can help your loved one stay active. Play cards or board games, and take walks. Work with your loved one to make decisions about the future before dementia gets worse. It is important to write a living will and a durable power of attorney. A living will states the types of medical care your loved one wants. A durable power of attorney lets your loved one pick someone to be the health care agent. This person makes care decisions after your loved one cannot. Watching a loved one slip away can be sad and scary. Caring for someone with dementia can leave you feeling drained. Be sure to take care of yourself and to give yourself breaks. Ask family members to share the load, or get other help. 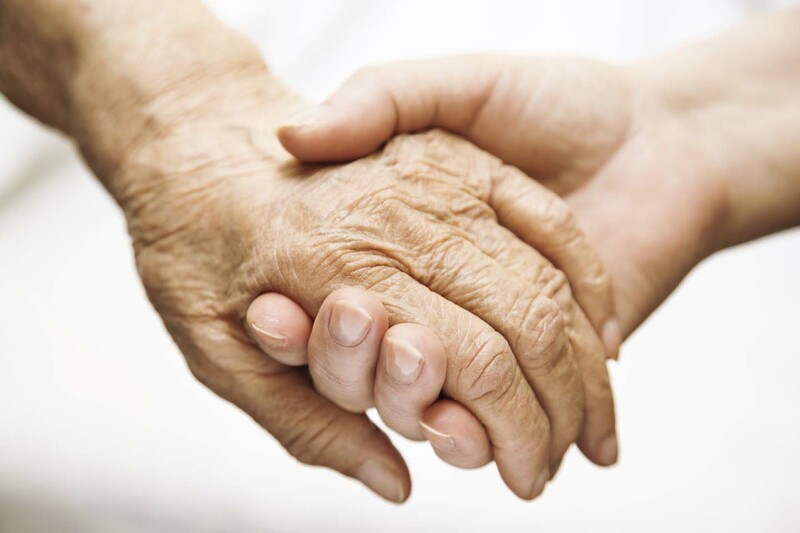 Your loved one will need more and more care as dementia gets worse. In time, he or she may need help to eat, get dressed, or use the bathroom. You may be able to give this care at home, or you may want to think about using a nursing home. A nursing home can give this kind of care 24 hours a day. The time may come when a nursing home is the best choice. You are not alone. Many people have loved ones with dementia. Ask your doctor about local support groups, or search the Internet for online support groups, such as the Alzheimer’s Association. Help is available. Please make sure you sit in a quite place. Listen preferably with headphones. Do not hear while driving. These 20 minutes will change your world. Guided meditation is a form of meditation where an individual is verbally guided into a beneficial state of consciousness either by a person’s live voice or by a recording of a voice. This process and practice of meditation requires an individual to follow verbal instructions that teach you how to relax the entire body; clear the mind; concentrate on breathing; and focus one’s awareness and attention.In meditation, one may choose to keep it simple by just sitting quietly every day for five to twenty minutes or one may decide to fully explore the tremendous subtleties and depth for hours on end. What one chooses to explore when meditating all depends on the individual’s intentions, needs, and level of interest and passion. In the fast-paced 21st century society, individuals’ lives are becoming increasingly busier every day. Whether one’s busy schedule is due to responsibilities for their occupation, education, community, recreational activities, family-life, and/or social-life, the stresses in our daily life can feel suffocating. Evidently, when an individual is so consumed by their daily responsibilities, expectations put on themselves, and obligations needed to be fulfilled for the gain of other’s, one can lose sight of their own personal goals. 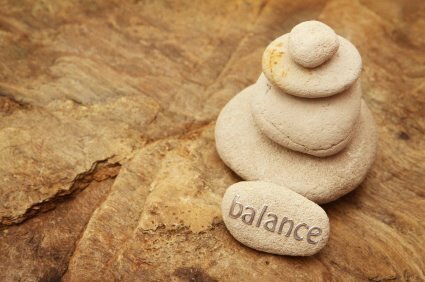 In order to feel in control of your life and reduce stress, one’s thoughts need to be balanced.Through meditation, one can clear the mind of everyday thoughts and stresses and focus all of their attention on living in the present and simply being, thus creating feelings of tranquility, physical relaxation, and psychological balance. The first few attempts at meditating by oneself can be frustrating because it is not always an easy task to clear the mind of its daily thoughts and/or to focus all of your awareness on yourself alone. Many individuals decide to use guided meditations, as opposed to traditional meditation, when first learning how to meditate because the latter requires that the individual guide themselves into a focused state of awareness, instead of being guided by someone else. Start by selecting a guided meditation. Find a quiet place to sit or lie down comfortably, ensuring that your back is straight. Press play on your guided meditation. (Headphones are ideal). Close your eyes; breathe deeply in and out through your nose; and relax your body. Forget about everything that is on your mind and live in the present. Pick an object to focus your attention on. (Depending on your preference, you may decide to focus on a word or phrase that has a special meaning to you, a simple geometric object, or your inhale and exhale). Become more aware of your breathing, feeling and hearing your breath as it goes in and out. In addition to focusing your attention on your chosen object, listen to and follow the instructions verbalized by your guide. Continue to concentrate on your chosen object and breathing until the guided meditation is finished or until you have had enough. Once you’ve finished your meditation, open your eyes to reorient yourself and slowly get up and continue with your day. As long as the above technique (or technique instructed in your chosen guided meditation) is carried out properly, the benefits will be felt instantly. The term meditation refers to a broad variety of practices (much like the term sports) that includes techniques designed to promote relaxation, build internal energy (chi, ki, prana, etc.) and develop compassion, love, patience, generosity and forgiveness. A particularly ambitious form of meditation aims at effortlessly sustained single-pointed concentration single-pointed analysis, meant to enable its practitioner to enjoy an indestructible sense of well-being while engaging in any life activity. Meditation often involves an internal effort to self-regulate the mind in some way. Meditation can help clear the mind and ease many health issues, such as high blood pressure, depression, and anxiety to name a few. It may be done sitting, or in an active way, for instance Buddhist monks involve awareness in their day-to-day activities as a form of mind-training. Prayer beads or other ritual objects are commonly used during meditation in order to keep track of or remind the practitioner about some aspect of the training. Meditation may involve generating an emotional state for the purpose of analyzing that state — such as anger, hatred, etc. — or cultivating particular mental response to various phenomena, such as compassion. The term “meditation” can refer to the state itself, as well as to practices or techniques employed to cultivate the state. In brief, there are dozens of specific styles of meditation practice; the word meditation may carry different meanings in different contexts. Meditation has been practiced since antiquity as a component of numerous religious traditions and beliefs. 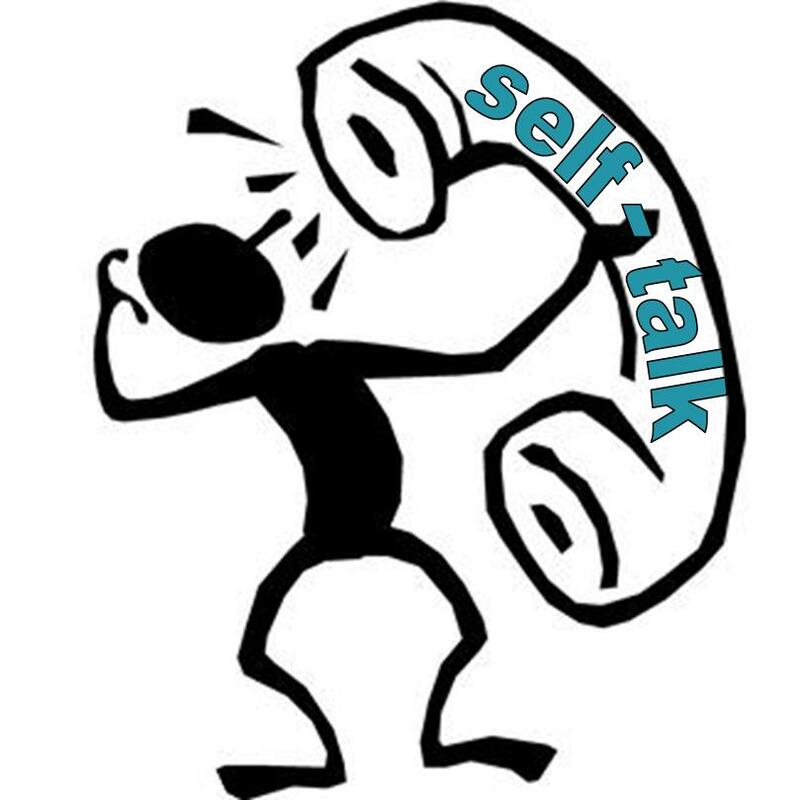 Positive Self Talk is a power tool to take you to the next level of intellectual competence. Say the following to yourself. I follow my plan and I reach my goals. I know how to listen—and I do. I have learned to hear not only the words which are being said, but I also listen to the unspoken thoughts which lie behind them. I am always prepared. I take the time to do it right. In everything I do, I am prepared, confident, self-assured, and successful. I know that making good impression means keeping myself up, energetic, and in control. I never avoid confronting a problem or making a sales call of any kind. I keep myself working and that keeps me winning. I know that success starts with seeing myself as the capable, productive individual that I am. I know that greatness begins in the minds of the great. I know that what I believe about myself is what I will become—so I believe in the best for myself. I am practical and realistic, and I keep my feet on solid ground. I also give myself the freedom to live up to my fullest expectations. I never limit myself by the short-sighted beliefs of others—instead I open myself up to the broad horizons of unlimited possibility. When someone says “It is impossible,” I answer that nothing is any more impossible than I believe it to be. And I truly believe that with my individual fortress of faith, with me, anything is possible. I have drive, spirit, stamina, and endurance. I have a good strong winning attitude about myself and about everything I do. I am practical and realistic, but I also believe in the best possible outcome of any situation. If I have ever had any doubts about myself in the past, today is a good day to put them aside. It’s a good day to throw out any disbelief that ever held me back. I know that I am headed in the right winning direction, and I look forward and never look back. I have the ability to focus on one thing at a time, so I concentrate my attention on the job at hand—and I get it done! Today is one of those days when nothing can stand in my way. When I need extra determination, I’ve got it! When I need more energy and drive, I’ve got it! I’ve got the power to get it done and the patience to see it through, no matter what the job or challenge may be. Right now, even while I am telling myself these truths about me, I know that I can succeed and I am succeeding. At this moment, if I think of any challenge in front of me, I know that I will become even more a winner because of it. I keep my chin up, my head held high. I look, act, sound, think, and feel like the winner I am! Anytime a problem starts to get me down, I get myself right back up! I tackle problems and I solve them. When frustration or defeat threatens me, I just become that much stronger, more positive, better organized, and more determined than ever! Right now, today, this very moment, I am capable of giving myself the gift of absolute self-assurance, self-belief, and powerful non-stop confidence in myself. No matter what it is that requires the very best of me, I can do it and I know I can. Today is a great day. And I’ve got what it takes. So I choose to do it right, do it well! I choose to live today with joy and love. I know it’s all up to me. One hundred percent! Every bit of it. All of it is in how I look at it and what I do about it! That’s what winning is. That’s why I am a winner. I set my sights; I keep my balance. I don’t hesitate. I don’t hold back! I know that the world is full of opportunities. Look at what I can do; look at where I can go! Look at what I can do just by saying “Yes!” to myself! Just look at what I can do today! I am incredible…and today is a great day to show it! I can do anything I believe I can do! I’ve got it, and every day I get more of it. I have talent, skills, and ability. I set goals and I reach them. I know what I want out of life. I go after it and I get it. People like me, and I feel good about myself. I have a sense of pride in who I am, and I believe in myself. Nothing seems to stop me. I have a lot of determination. I turn problems into advantages. I find possibilities in things that other people never give a chance. I have a lot of energy—I am very alive! I enjoy life and I can tell it and so can others. I keep myself up, looking ahead, and liking it. I know that I can accomplish anything I choose, and I refuse to let anything negative hold me back or stand in my way. Listening. As a human being, one of the best gifts I can give my fellow humans is to listen; to really listen to what they are saying and to be fully present in the moment with them. Optimism. “When God hands you lemons, you make lemonade.” The value of optimism is clear here – take what you have been given and make the best of it. Patience. Patience is a value which can also improve productivity because it creates a better state of mind, a clearer state of mind, for better decision making. Respect. We are all different, yet we are all the same in the sense we want to be respected for how we think and believe. When we show the proper respect we are not only validating the other person’s dignity, we are also enhancing our own. Right Choices. It’s not that we always have to get it right; in fact it’s not reasonable to think every choice we make will be the right choice. But when we have completed our research, performed our discernment, and have listened to our inner wisdom the hope is we are guided to the right choice. Acting on this choice is where the true value exists. Sacrifice. Sometimes it’s appropriate to put someone else’s needs before your own. This is the meaning of sacrifice. Along with sacrifice comes some discomfort; perhaps even some pain. This is what makes sacrifice a value to live by. Tolerance. There are people who make us angry and we just can’t seem to see eye-to-eye with on an issue. Rather than showing contempt, tolerance is a better alternative. It shows respects, patience and courtesy – all important values in their own right, too. Unity. There is indeed strength in numbers. Working together to solve a common problem ensures a greater chance of success. Making the effort to bring people together will always be more effective than finding ways to pull people apart. Vision. Vision is created by our dreams and daydreams, alike, Vision provides the avenue to take our lives to wherever we want them to go. Our vision reminds us that we are always capable of learning and growing into who we want to be.